I have been waiting for this all winter . . . Ever since the spring equinox I have been feeling that itch to get back to the beaches again for the spring cutthroat fishing. I managed to get on the water with friends a few times this winter, and it was always hit-or-miss as far as the catching went. And one develops a kind of stoic mindset when doing this fishing, much like winter steelheading, that it may be a while before the next tug. So you pace yourself, to get through the long dark winter, one swing at a time. There's just enough action to keep you coming back for more, though you may have to wait between storms. And then the spring equinox comes along, and the sun has been returning to noticeably warm the northern latitudes for a few months already, the little buds and blossoms are opening up, the storms are fewer, farther between. You are gaining strength and hope for the spring fishing again. Back in early March we headed down south for a little early spring fishing . . . 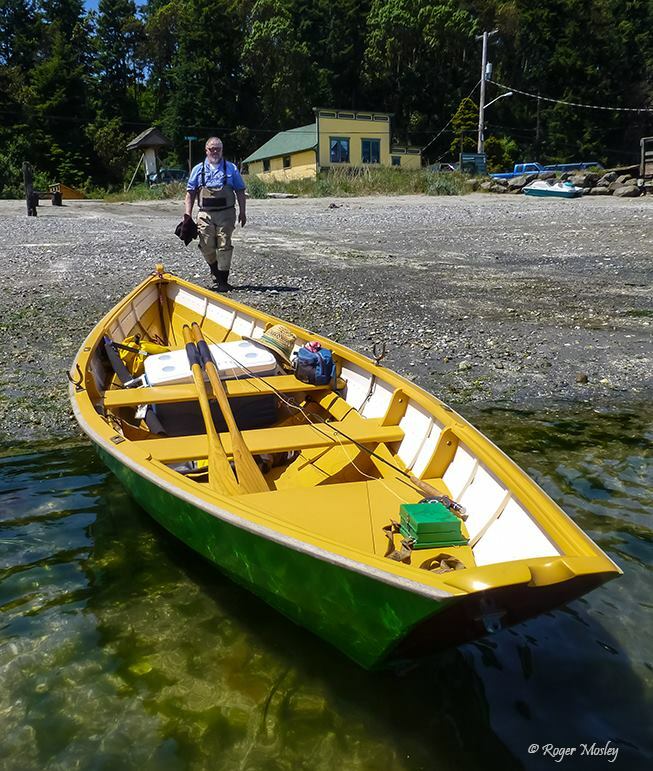 The chum salmon and pink salmon fry have been emerging from their river gravel incubation, since around early to mid February depending upon where you are on these waters, and they are entering the estuaries all over the Puget Sound and Olympic Peninsula region. 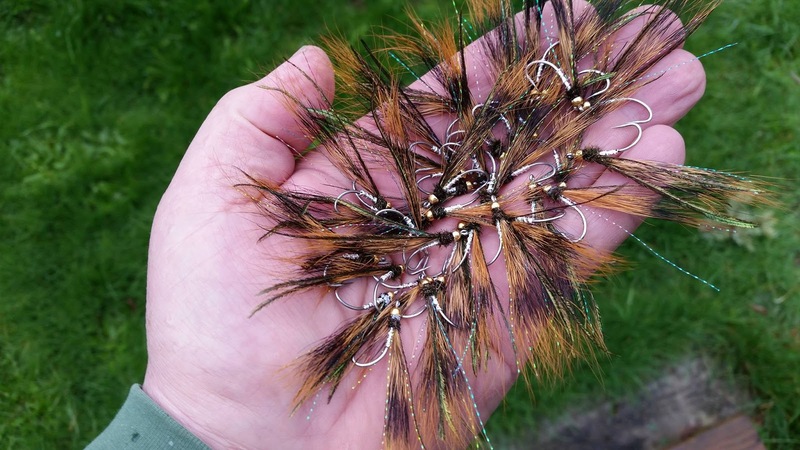 So it will pay to have some juvenile salmon fly patterns in your fly box. These fry will range in size from one inch to over several inches long by now. The larger ones will be in the southern waters, while up here in the North Sound region they will be around 1 to 2 inches long. The longer that the season goes on, the faster they will grow. And they are all migrating northward, toward the sea. So, being up here in the northern area, you can see some chum fry that are an inch and a half long, drifting by on the tides, and then you'll see some fry go by that are almost three inches or longer, all in the same day. I tie my salmon fry imitations from one to three inches long in the spring. Chum Baby flies. A very successful pattern in Puget Sound country. Clouser Minnows, bait fish style. 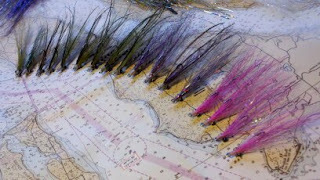 I went into greater detail on spring and summer sea-run flies HERE. Call or write for details.